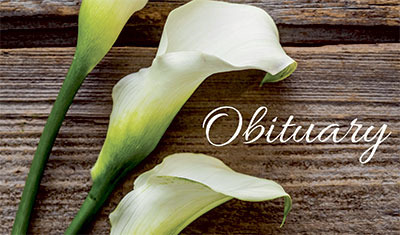 FORT JENNINGS, Ohio — Lillian (Lil) Von Lehmden of Fort Jennings died Sunday, April 14 at Vancrest of Delphos. She was born on March 31, 1922, the daughter of Henry and Anna (Lindeman) Moenter who preceded her in death. She married Richard Von Lehmden of Fort Jennings on May 22, 1943. He died on Feb. 12, 1970. She was also preceded in death by two brothers, Richard (Melinda) Moenter and Otmer (Catherine) Moenter of Delphos, and Dorothy (Alphonse) Schimmoeller, and her brother-in-law, Elmer Von Lehmden. Calling hours are Tuesday, April 16 at Harter and Schier Funeral Home from 3:30-7 p.m. with a rosary/wake service to follow. Her funeral mass will be held at St. Joseph Catholic Church in Fort Jennings on Wednesday, April 17 at 10 a.m. with Father Charles Obinwa presiding. There will be visitation for one hour prior to the funeral as well. To leave condolences please visit harterandschier.com.